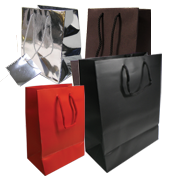 Shop our selection of Jewelry Gift Bags and find the best pieces for your store! You'll find both small or large items, made of paper, available in lots of colors and amazing patterns. Get the best deals thanks to our wholesale discounts!